Best Scrapbooking store in Perth? Scrapbooking was a very popular craft a few years ago. However since then, many scrapbooking stores have closed down. Find a store can be a challenge. Where is the best scrapbooking store in Perth? What more can I say. Crafty Capers. Small store with more than what you need, Found down Warwick Road. They also offer classes. There is a place in Joondalup called: For the Love of Scrap. I think they moved because the last time I was there there was something else in its spot! Although not a specific "scrap booking" supply shop, Educational Art Supplies at 17 Hampden Rd in Nedlands is a treasure trove of "stuff". Two floors of everything from pipe cleaners to felt, glue, crayons, paints and stickers. 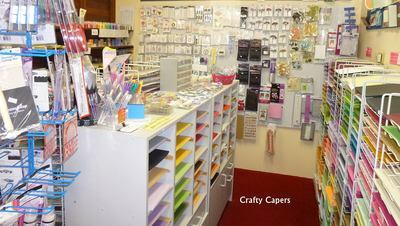 There is one nice shop in Joondalup call Scrapbook Central. They have a HUGE range of scrap-booking products. everything you need is there. This is a must visit for scrapbook lovers. Best place to surf in Perth? Have you been to Cygnet Cinemas? Best taxi service in Perth? Who looks after your children during the holidays? How do you handle a bad day?